I found something for you, btw. Not creepy, per se, but very very cool. The Copepod that is “parasitic” also may serve a very important purpose for the greenland shark. The fact that it looks like a “dead worm” may attract potential prey to come close to the mouth of this slow-moving shark. I don’t know. And likely no one does no for certain, although I’d like to find out. But I think 80% of the sharks being infected by such high numbers of parasites might not be the way the world was made to be at all. Poor shark. I’d never wish to encounter one in this way. But I now see that they might likely attack as they do because they are blinded, sick, and hungry. I think the planet really IS in trouble. I never gave that issue much thought until now, but I have experienced something that makes me identify with this shark. @ Christine – The sharks spend most of their life in darkness, and most sharks as a species don’t rely mainly on their eye sight. 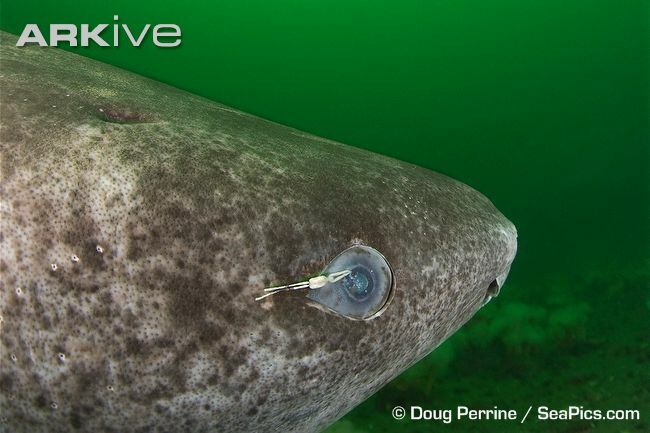 They have keen sensory abilities and the parasite on the eye could act as a lure drawing prey in towards the shark. 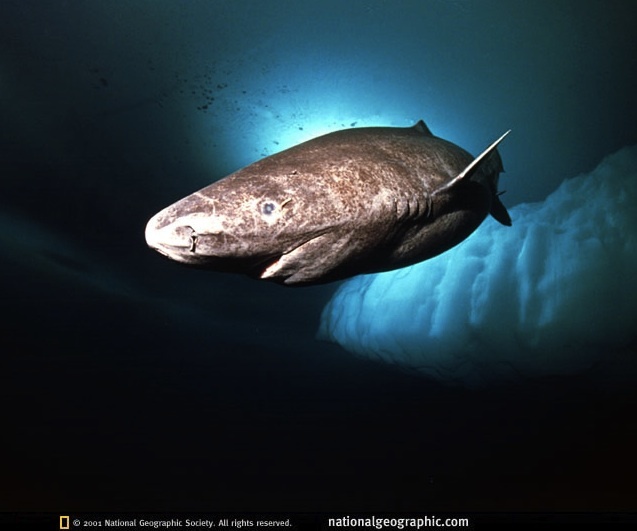 Considering how slow the shark is, and how scarce the food supply is, I think the Greenland Shark population might be less than what it is now without this convenient parasite. There are lots of things in the world that seem like they’re not “meant to be”, but in some cases these things work to our benefit.